It was around 11:00 AM when we were finally at the reception of our destined hotel. Though the check in time of any hotel is around 2 PM in the afternoon but it is not at all a difficult task if anyhow you reach early. 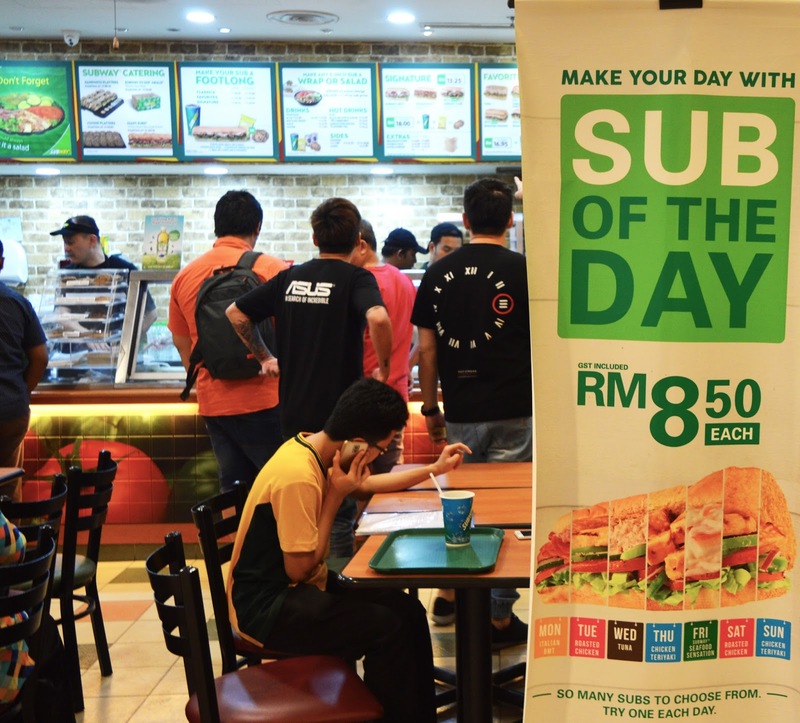 This is because they are well aware that the flights to Kuala Lumpur generally reach early in the morning and they will provide you the room as soon as it is free and clean. Checking in to any hotel is not that easy these days. You need to be ready with all your documents including your identity card before getting in. After successfully completing check in Procedures we were allotted our rooms. Rooms were quite decent and spacious enough. One plus point of this hotel is its location that is boon to visitors in terms of shopping and food. 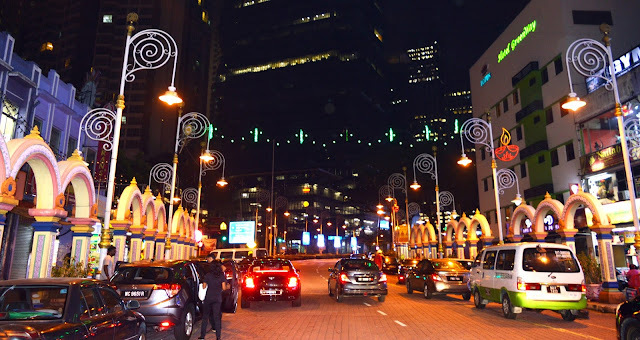 Famous Berjaya Time Square Mall is just two minutes walk from this hotel. Low- Yat Plaza Mall is just on the street behind the hotel and the famous food street ‘Jalan Alor’ is also a short walk away. Hotel Capitol went high to meet our expectations even after being a standard category hotel. 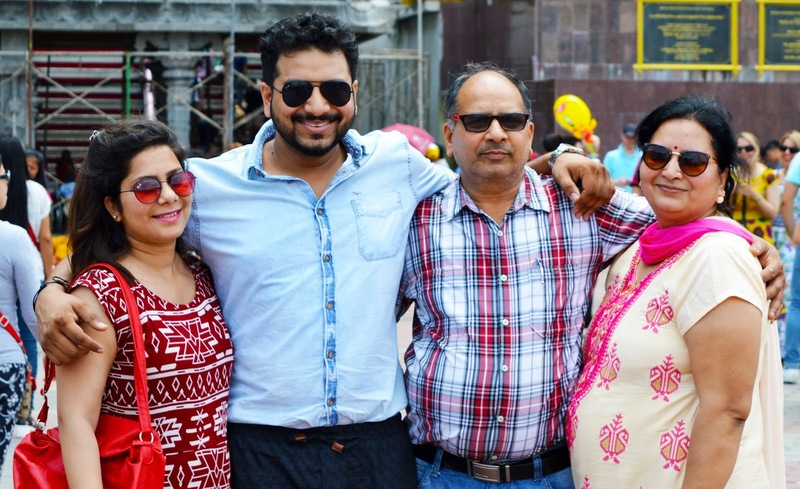 It is the cheapest best option that cost us around INR 2000 per person. We were quite satisfied with our choice of hotel after having done lots of R&D on Google. A+ from my side to Hotel Capitol. As already mentioned that the location of the hotel is superb, surrounded by all market area and malls located at Walking distance. Our evening was well spent nearby exploring the market of the Kuala Lumpur. Though it started raining that evening but that proved to be an add-on experience for all of us. Lots of local umbrella vendors suddenly came out of nowhere. Even the umbrellas were quite different in look and feel. It cost us around INR 100 per umbrella. Rain last for less than 1 hour and we had an amazing experience. Till late night we were exploring the market and still we were just around the hotel area. Fabulous location must say. We did try lots of food options also. 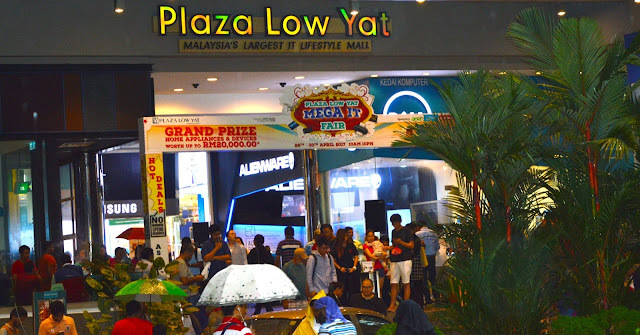 Among hundreds of local vendors and restaurants nearby, there was a food plaza in the basement area of Mall Plaza Low Yat – mostly famous among tech lovers with wide variety of gadgets at reasonable rates. In the basement of the same mall we got to see one well decorated fruit shop from where we bought fruits for our emergency hunger. 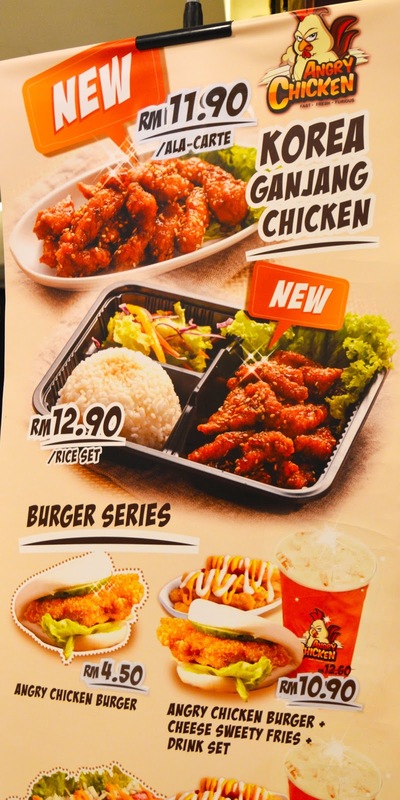 Next we went to another small but cute looking food outlet named as Angry Chicken and we did try Angry Chicken Burger from one of their Burger Series. Nitin and my food expense at this outlet was INR 170. I loved Malaysia in monetary terms as well. While exploring the market, I also bought one travel pillow for INR 312. I loved the quality of that pillow. Moving on further Nitin and I went to Jalan Alor Street for some ‘us’ time. ;-). There snacks for two cost us for INR 374 only. Walking on the streets with your partner where no one around knows you is mind boggling I must say ;-). Me time is anyhow necessary once in a while. Early in the morning when we started for Batu Caves, we headed to nearby located monorail station named ‘Bukit Bintang’. We need to change train from KL Sentral in order to reach Batu Caves. 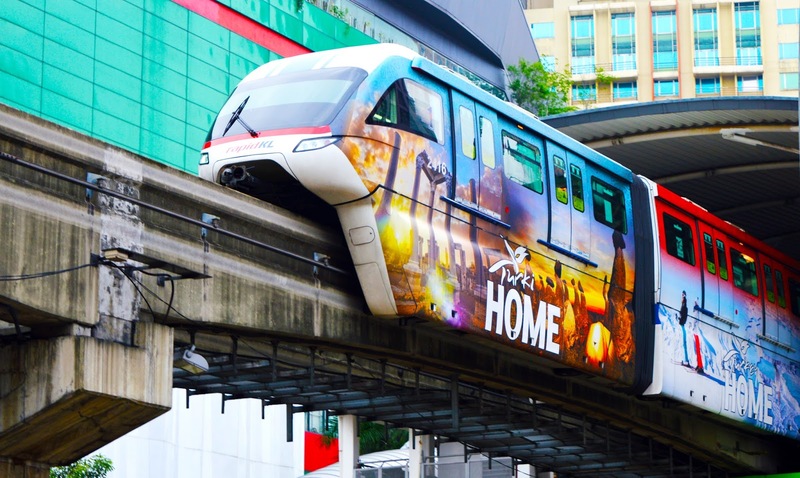 Cost of Monorail ticket from Bukit Bintang to KL Sentral is INR 39 per person. Monorail is connected to KTM Train for which we need to walk for 5 minutes at KL Sentral station. KTM Train Ticket from KL Sentral to Batu Caves costs us around INR 40.95 per person. 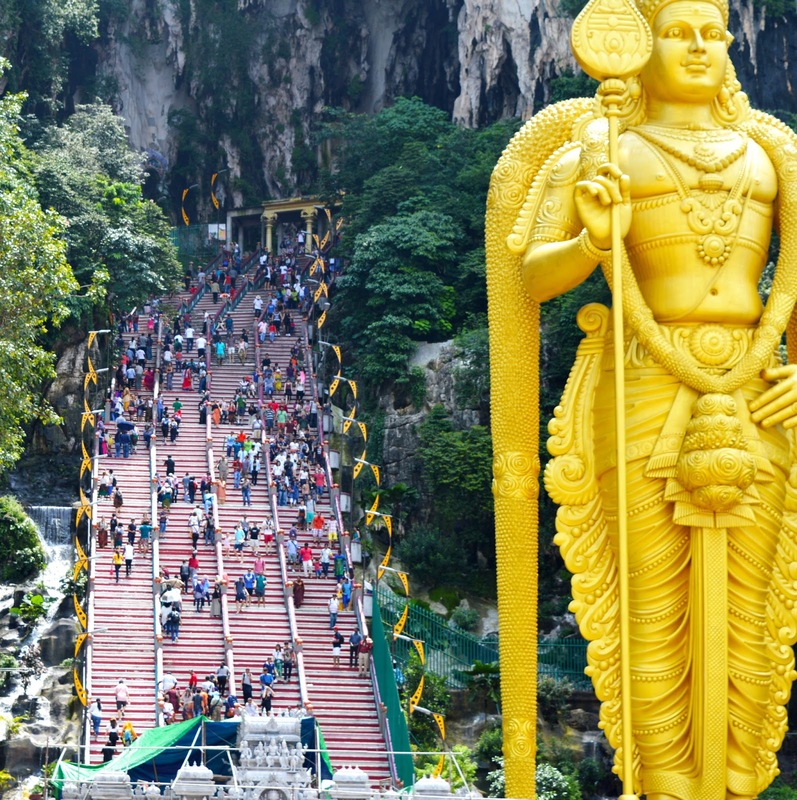 Batu Caves is the last stop and the huge statue of Lord Murugan loudly showcases its visibility from the station itself. Then came the moment where the actual adventure had to begin. 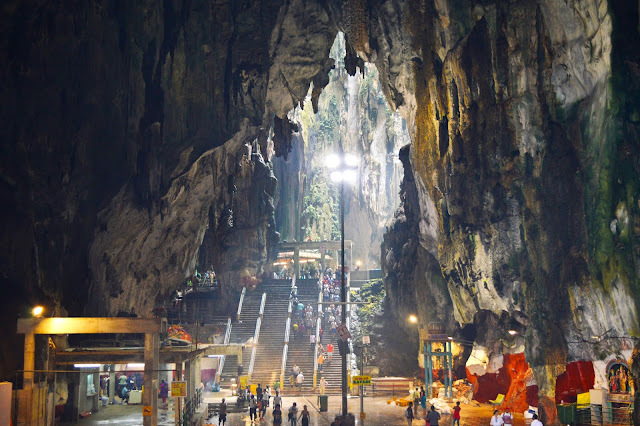 Who can imagine climbing those 270 steps altogether to reach Temple Cave. 5 of us were only eager to witness the beauty lying ahead of us, up above the hill. Our water bottles with us and our breaks to capture the pictures proved to be a boon in that journey. It was all dark there. It seems the climate was changing. The droplets of water were falling like a breeze. It was a magical place at hilltop soothing our mind and soul in all ways. Wow. 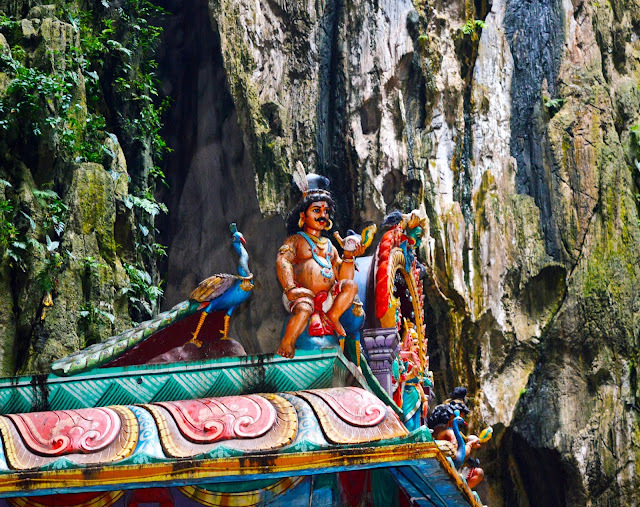 Varied statues were placed there increasing the beauty of the Cave. The architecture inside was also magnificent. Even the rocks were given meaningful shapes. I just loved the atmosphere. Moving on further, there were some more stairs to reach up to the temple. It was still all dark. 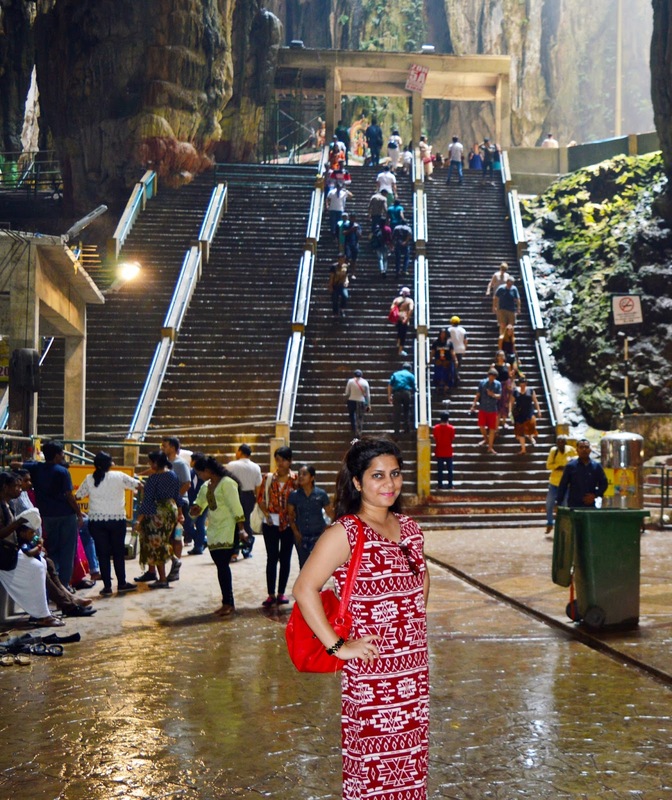 We had no more energy left to climb those extra stairs but the will power to complete our sightseeing was more enough to gather courage to climb those stairs too. There were lots of monkeys and they don’t bother anyone unless we don’t bother them. Just leave them Alone and don’t carry any food item with you. An altogether different experience and natural beauty made my morning. Coming 270 steps down was not tiring but yes scary. Looking down from such a height was like Oh My God. Anyways we were then hungry to the extent we moved straight to Divya Batu Food. The food was okay that at least filled our tummies in emergency case. It was very hot and we booked our cabs for the return that costs us INR 97 per person (PS: as we were 9 people travelling in a group so the cost per person is comparatively less). After personally experiencing, Travelling in Uber Cabs in Malaysia is way too convenient and cheap option. Later in the evening on our second day, after having some rest we got ready for the visit to most renowned China Town in Kuala Lumpur. 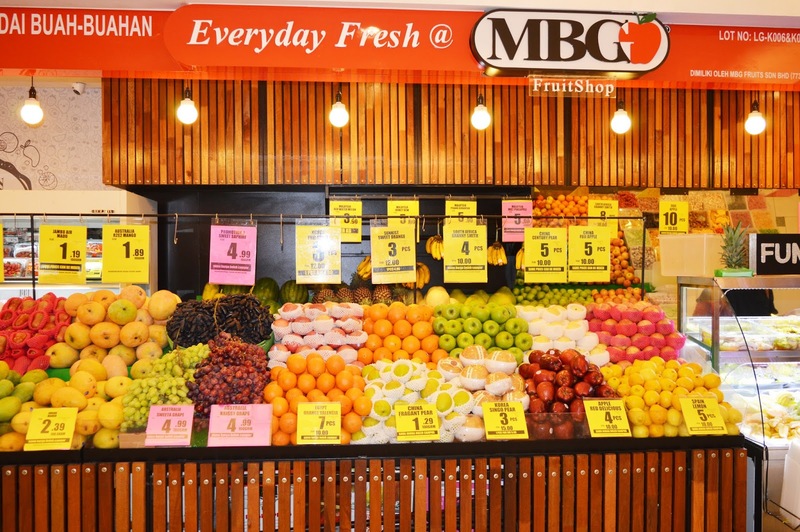 Little India and China Town are two major shopping spots in both Malaysia and Singapore for their products and cost effectiveness. Visit to these two major markets is a must. These spots are also best for gift items if you wish to buy something for our loved ones. But on a sad note, my visit to China Town was not that remarkable as it should be. We got our Uber Taxi booked from our hotel because we found Uber in Malaysia quiet convenient in terms of money as well. Our travel fare cost us around INR 156 in a sedan for 4 people. Fair enough? Isn’t it? The market was decorated exactly the way it looks in images all over the internet. Red balloons all over as if you are under some roof. It was indeed beautiful. Numerous small vendors on both side of road selling varied variety of items. The market was all filled with visitors and buyers. Footfall indeed proved that China Town is one major spot in Malaysia. I don’t want to elaborate the things happened but the vendors behaved very badly and talked to us in insulting way. Even the people walking there stopped us and insulted us by saying that we cannot click the pictures and checked all the images in our camera and asked us to delete the pictures where they or any friend of them are somewhere in background. I don’t want to come to any conclusion, but that actually made me feel bad and we didn’t visit any of the China Town further in Penang or Singapore. After making our exit from China Town, we asked the local Taxi vendors the price from China Town to Petronas. But the price was way too high exceeding our expectations. So we again got Uber Taxi booked that cost us INR 156. 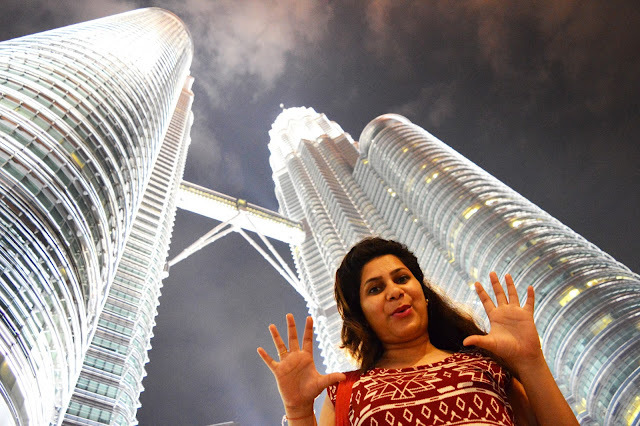 No trip to Kuala Lumpur is complete without visiting PETRONAS Twin tower. They look amazingly shining at night, so make sure to plan PETRONAS at night but buy the tickets early in the morning to avoid long queues. The cost of the ticket is INR 1500 approximately and the place and the view in itself are terrific and unforgettable. Tickets can be purchased online or at the counter. They first of all take you to the sky bridge that is at floor number 43 and then to the topmost floor that is 86th to enjoy the view. Sky Bridge is the highest two storied connecting medium between the twin towers. Also I found it highly organized and well maintained. One can easily spend few hours here admiring the beauty of the place because it has got lot more to offer. There are also small food outlets around selling delicious items. I didn’t forget to buy my favorite Corn, it was indeed delicious. Suria KLCC - Visit to PETRONAS doesn’t end up with these twin towers. At the feet of the tower is a 5 storied shopping complex named as Suria KLCC. 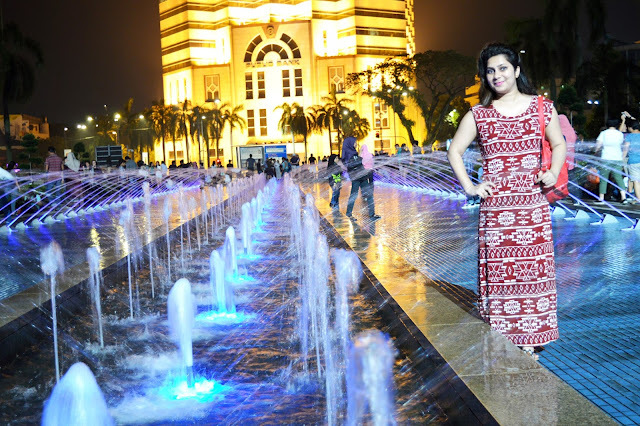 It is famous for being one of the largest shopping mall in Malaysia. One can find almost all luxury brands from all over the world with all varied variety of items. To my surprise, it also offers you with an art gallery, an underwater aquarium and a Science Center. KLCC Park below the building is another remarkable spot to spend quality time with your loved ones. Do not forget to view the light show at the Lake Symphony fountains located at the ground floor of the Suria Mall on its exit. This worth watching show is free of cost. Also it has got playground for children, walking paths and beautiful green lawns. The show timings are different on different days. Often it takes place at both noon and night. The good news is that there are multiple shows, so you won’t miss it anyway. KL Tower or Menara Tower is another famous spot in Kuala Lumpur to provide spectacular bird’s eye view of the city to visitors. On the third night in the city, I and Nitin, planned a night walk from our hotel and went on to this place without hiring any cab or taxi. Those few hours were somehow the most romantic for me. Sunset time is the best to visit KL Tower. The height of the tower is such that it is visible from almost everywhere in Kuala Lumpur. 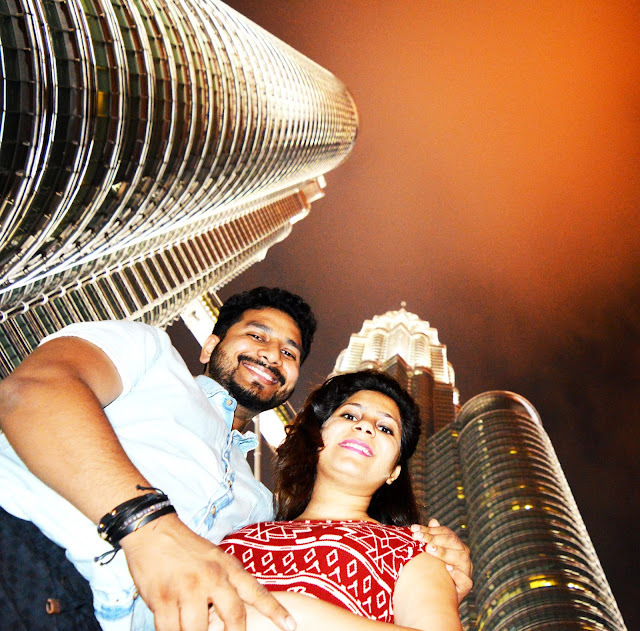 The viewing deck of the Menara Tower is even higher than PETRONAS twin tower Sky Bridge. The tower is known especially for its revolving restaurant names as ‘Atmosphere 360’. 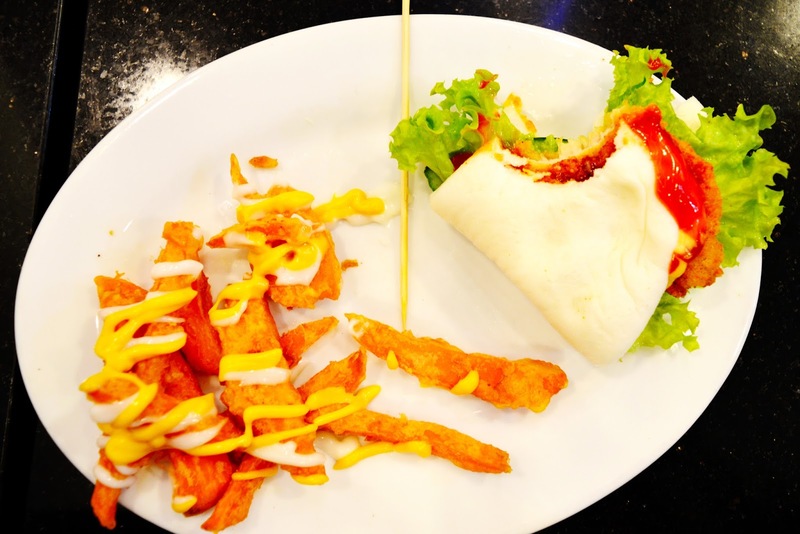 One can enjoy the mouth watering meal along with the spectacular view of the city. One other restaurant here is Moghul Mahal Restaurant famous for its North Indian food. Blue Coral Aquarium can’t be missed to discover the colorful marine life including few sharks. XD Motion Theatre to experience the 6D screen. KL Forest Eco Park can be reached directly from the tower. KL tower is standing straight on the top of Bukit Nanas Forest Reserve. KL Tower Observation Desk to experience the panoramic view of the sparkling city. Deck is operational from morning 9 am to 10 pm at night. 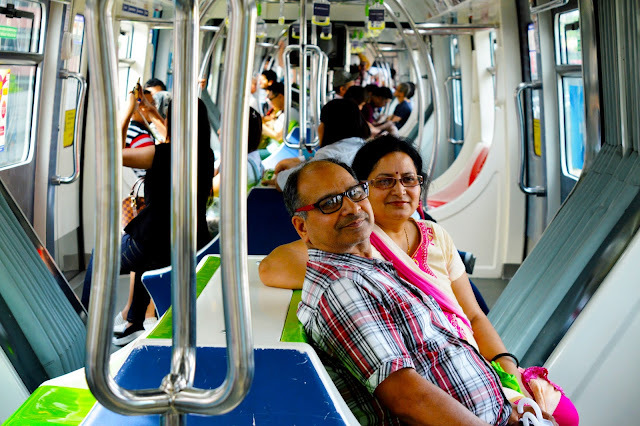 The cost of ticket for one adult is approximately INR 900 and INR 550 for a child. KL Tower Sky Box to provide the unobstructed view of the city as this box extends out from the Sky Deck. Tower Lighting creates an altogether magical difference to the entire look and feel of the tower. Different songs are played during this lighting event and each song has a different color and lighting effects. Mini Zoo is a fun place for families with kids as it contains wide range of animals which includes pythons as well. Upside Down House is one the latest attractions of KL Tower where everything in house is upside down. It is for sure going to be a fun experience for both kids and adults. 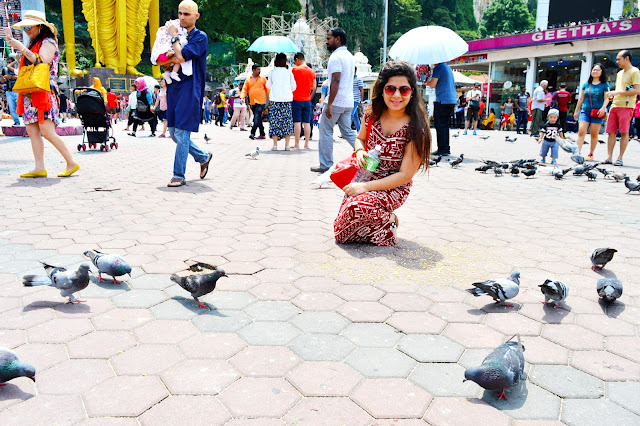 Later at night we went straight to Little India in Kuala Lumpur. All our tiredness went away the moment we step there. The colors of Indian heritage and Indian beauty were all significantly visible. It is a real mixture of Indian Culture. 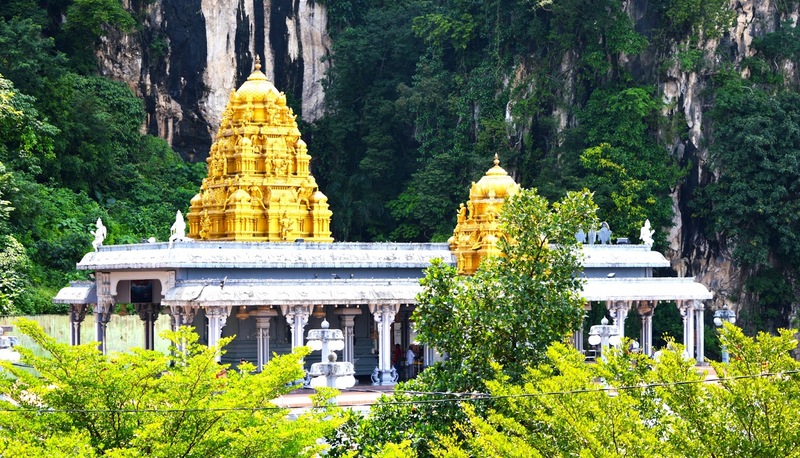 We spotted Indian Temple, Church and Buddhist School all here in small India based in Malaysia. Little India is located just 500 meters away from KL central Station which is worth roaming by foot. My eyes could not get off from the arches built on the road. It was done so beautifully. It felt that the real beauty of India can be seen in Malaysia. Ha Ha. Lots of Street vendors selling varied variety of food items. There were lots of Indian Restaurants and Indian grocery shops. 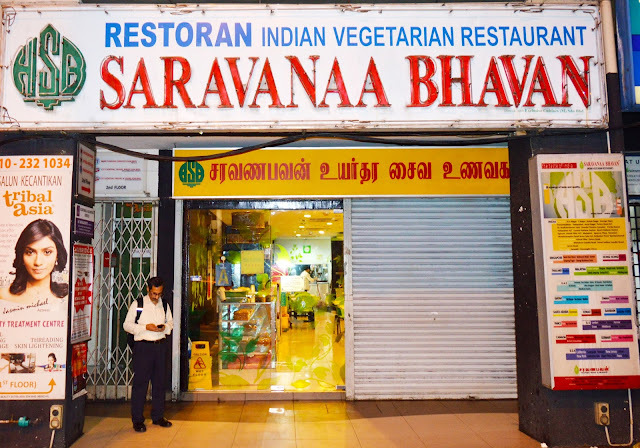 Restaurants list include Sarvanaa Bhawan, Vasanta Bhawan, and many more. 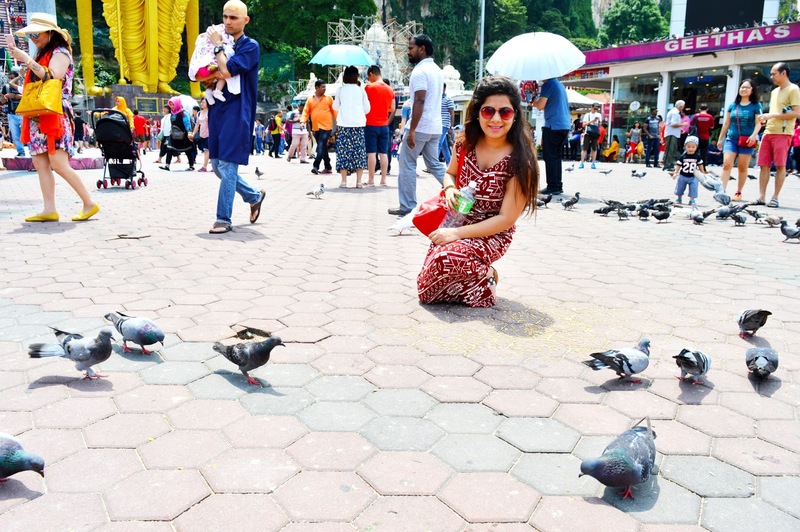 Little India no doubt became my favorite spot in Malaysia. 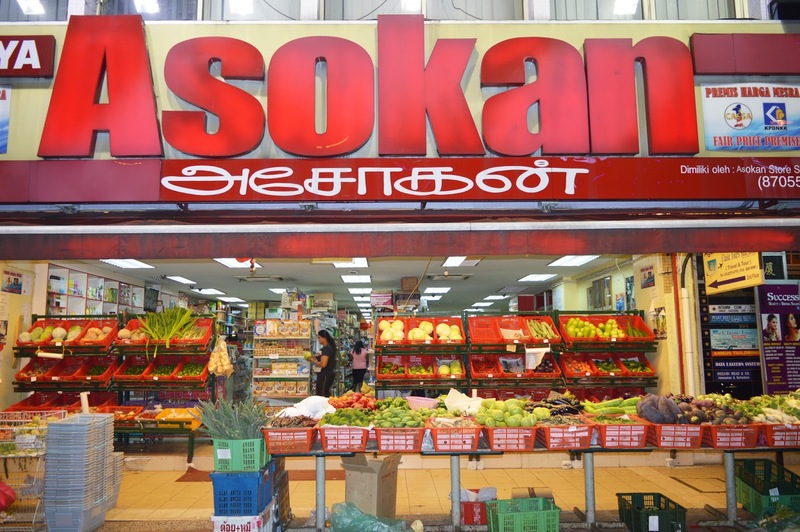 Then we went to Ashokan, which is one of the malls in Little India. It was very late at night and we did lots of shopping from here which includes fresh fruits, bread butter and few snacks again for the emergency hunger. UM Stores similar type of Mall was also there nearby. Our desire to travel would not have stopped if we were not bounded by time. Otherwise there is a lot more to know about Malaysia and experience its authenticity. Do let us know your experience and something amazing about it!! I like your idea. You have good picture. Your story is outstanding. I must again here Otel discount code.